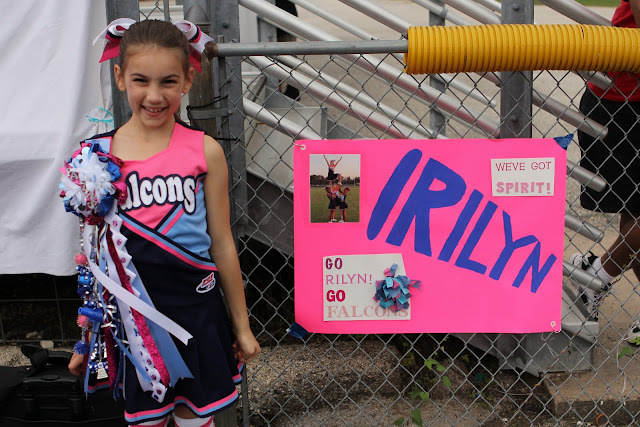 Last Saturday, Rilyn’s cheerleading/football league had their “homecoming” game. 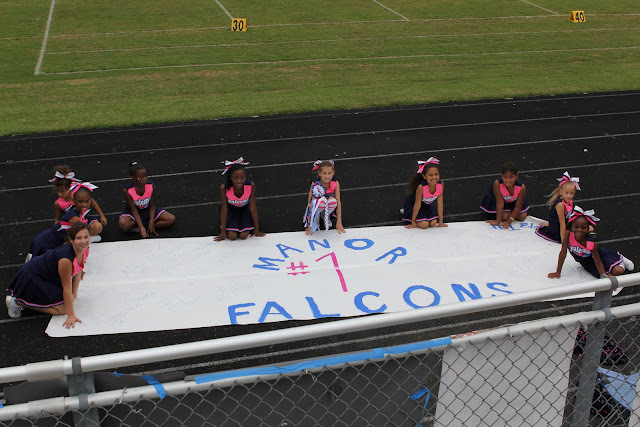 All that means is it’s an excuse for the cheerleaders to wear mums and the parents decorate signs to hang around the field! 🙂 This is Rilyn’s 3rd mum (and she is only 8!). They get more extravagant each year it seems like. I have yet to make one…but I’m sure my time will come! 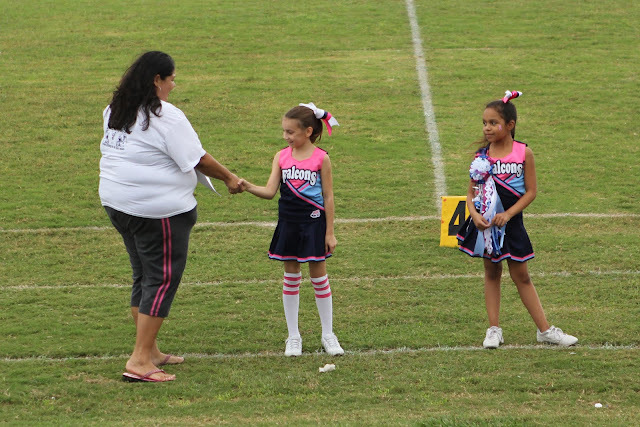 During halftime, Rilyn was presented with the Pop Warner Lil’ Scholar award for having a grade average of 99%. She is one smart cookie! 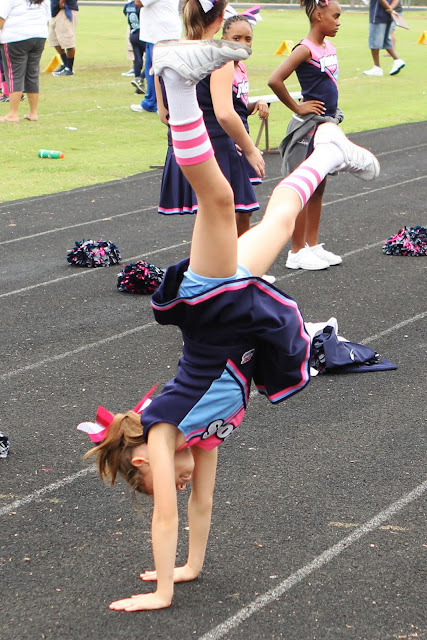 Rilyn has mastered the cartwheel, which is a big accomplishment for her! Next up? She wants to master the splits!